Classic and beautifully elegant, our Floral Posy Headpiece captures the timeless detail of vintage headpieces from the late 1930s and 1940s. 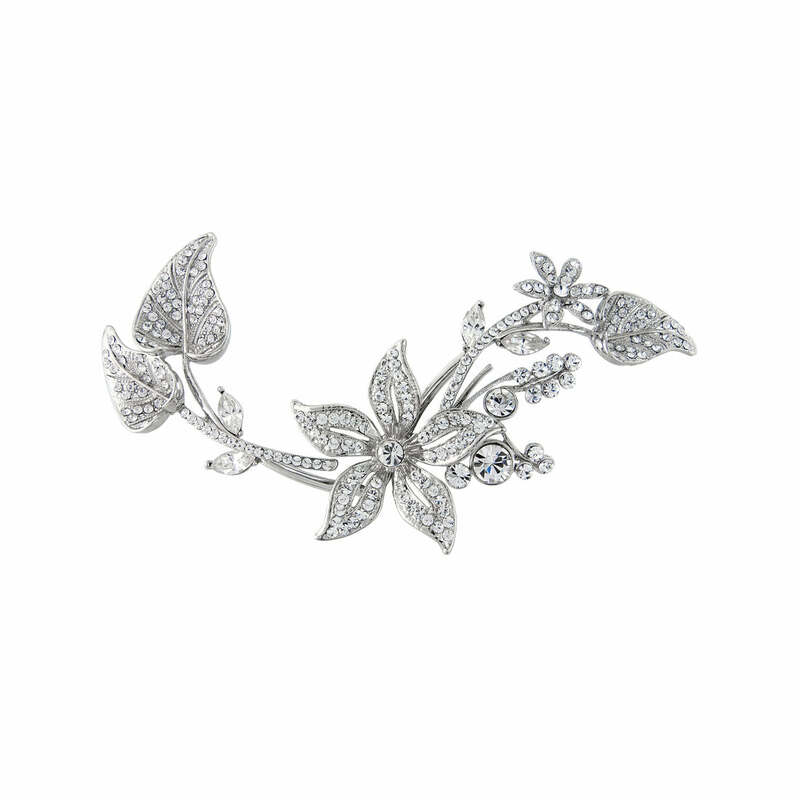 Featuring a centre flower with sweeping stems leading to leaves adorned with sparkling Austrian crystals, this divine headpiece is so versatile. With underside hoops to secure to your hair with kirby grips, it look exquisite pinned above a low side chignon, worn across the side of the head or running along a French pleat. 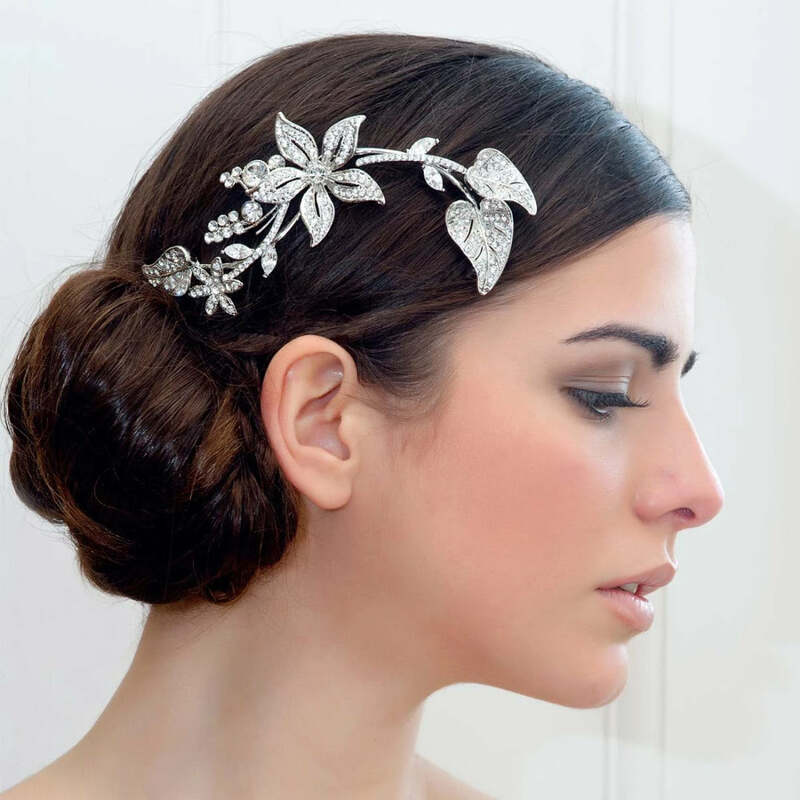 A beautiful wedding headpiece for brides who adore simple bridal hair accessories with vintage charm, accentuate bygone beauty style by coordinating with chic crystal wedding earrings and a simple bracelet.